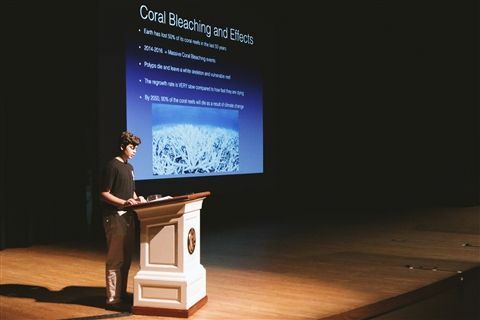 Eighth Grade Junior Research Fellow Andrew Riccio presented “Why Should You Care About Coral Reefs?” to his middle school peers. 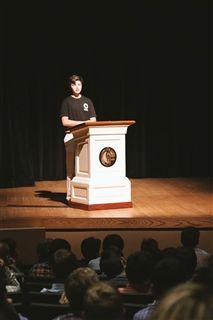 Andrew described how corals are in fact living animals, why they are important to our ecosystem, and why they are dying. Finally, he offered ways that we can all help to save coral reefs. 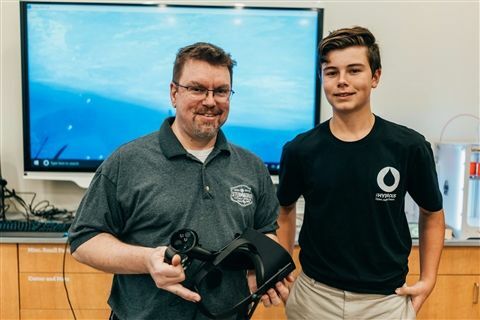 Throughout the week Andrew also guided individual students through an underwater experience using the school’s new virtual reality equipment in the STEAMworks lab. 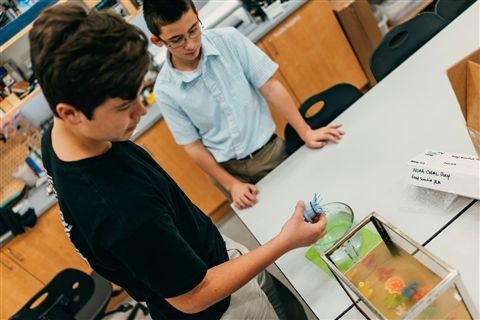 Congratulations Andrew, we are proud to call you a Junior Research Fellow!